The Annapolis Historic District is not only a National Landmark, but a town that is dedicated to preserving history. In the late 1600’s, the capital was named Annapolis for Princess Anne, the Queen of England 1702. The city was built to reflect the great capitals of Europe, a grand street plan that revolved around the Capital building. Annapolis is the well-known home of the United States Naval Academy, one block away from The Annapolis Inn. Situated right on the Chesapeake Bay and the sailing capital of the world, the Annapolis Historic District beautifully showcases our carefully preserved city full of attractions. 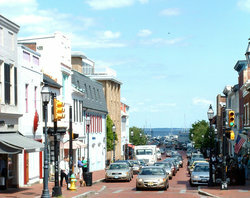 Annapolis, Maryland, was one of the first planned cities in America and 120 of the 18th century buildings still stand. Many historic residences and townhouses carry the quiet grace of centuries past, and most of the downtown and waterfront was given National Historic Landmark status in 1965. Built with red bricks, the buildings have been crafted in the style of Colonial, Georgian and Federal as well as 19th Century French architecture of the Second Empire, for an aristocratic and sophisticated air that complements the uniformed midshipmen. Discover the Annapolis Historic District through national monuments, walking tours, and the picturesque downtown. 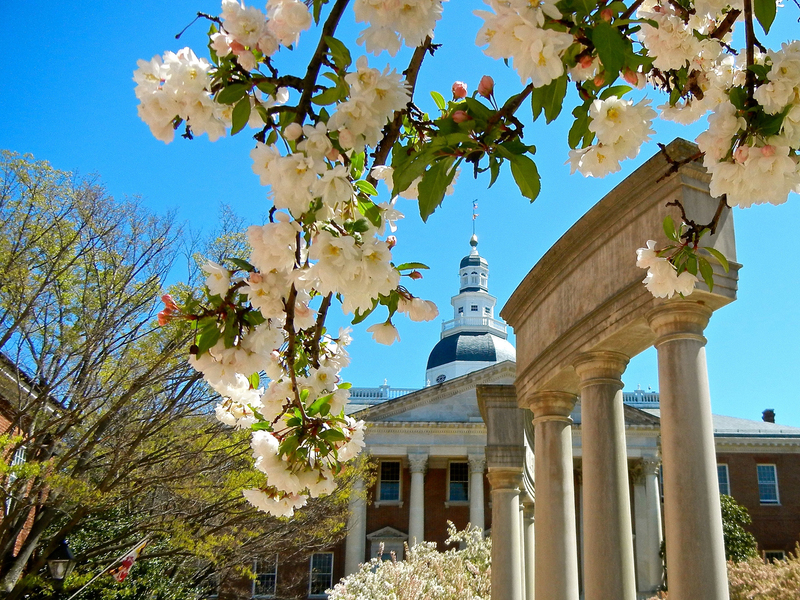 The historic Maryland State house in Annapolis has been the site of monumental events such as General George Washington’s resignation from the Continental Army and the ratifying of the Treaty of Paris, which ended the American Revolution. 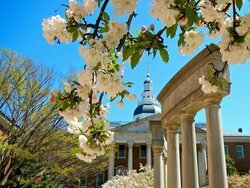 It is the oldest working State Capital building in the nation and exemplifies Annapolis’ dedication to preserving history. Annapolis was the national capital of the United States from November 26, 1783 to August 13, 1784. The Congress of the Confederation used the Maryland State House for official meetings, and considered Annapolis as a candidate to be the permanent national capital before Washington, D.C. was built. The Annapolis Convention in 1786 was one of the first national political conventions to be held and set the precedent for future conventions in Philadelphia. 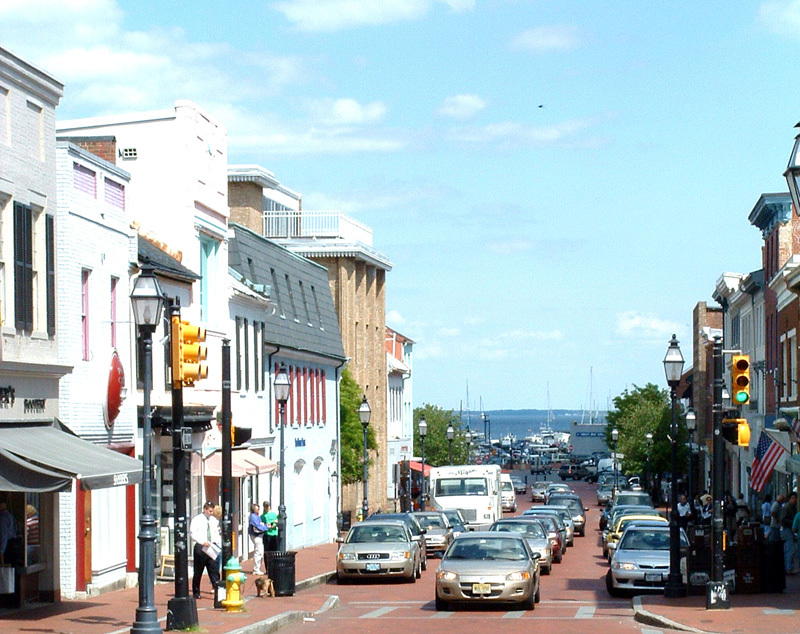 Walk down the Main Street in downtown Annapolis for five blocks full of Annapolis charm. Shops contribute to the downtown economy while it remains visually reminiscent of history and maritime culture. Visit for a complete experience of shopping, dining, local events and still taking a tour through history with the quaint architecture and banners. The rustic streets tempt tourists and locals alike, with a historic charm that persists to this day. Annapolis has many attractions that are best seen through a walking tour, explored as George Washington would have centuries ago. The Revolutionary Annapolis Walking Tour tells the story of patriot leader William Paca a young lawyer who rebelled and became a revolutionary. He was a signer of the Declaration of Independence and Governor of Maryland. Learn about his story during a 90 minute guided tour and explore his residence, the William Paca House & Garden which is a National Historic Landmark. The House has been restored to its colonial-era splendor and showcases the extravagence of high society living. 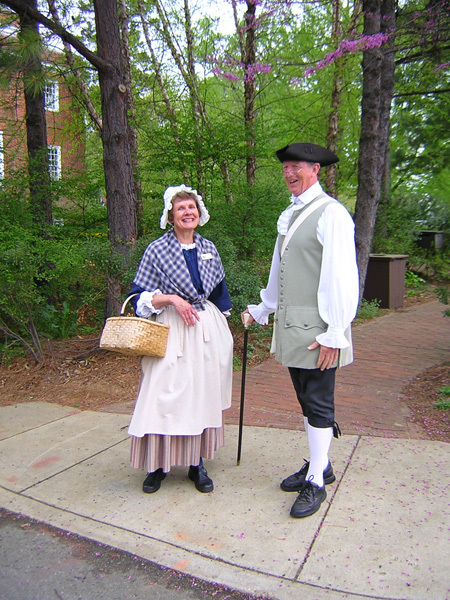 Watermark Tours also host tours through streets that were walked by George Washington, and have various walking routes so that everyone may choose their own path, such as the Historic Ghost Walk, Civil War and War of 1812. The Annapolis Amblers Walking Club is another non-competitive and friendly way to see the Annapolis Historic District.